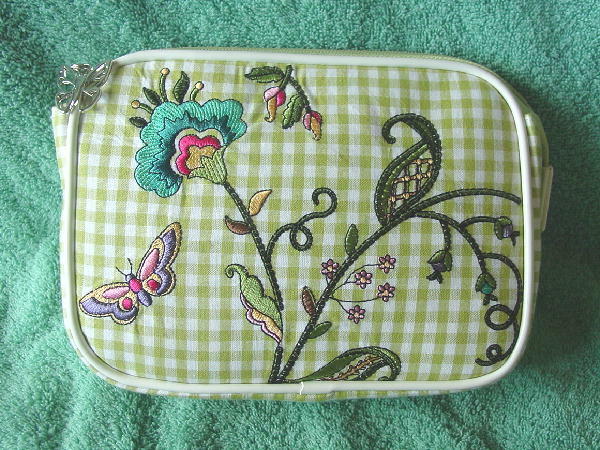 This never-used lime green and white gingham fabric cosmetic bag is an Americana by Sharif. 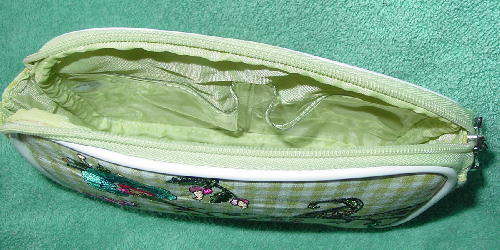 The interior has a lime green fabric lining with two clear vinyl pockets on each side. It has a top side to side zipper with a silver-tone butterfly pull, and it's edged in a white faux patent. The front and back has an embroidered floral and butterfly design in blues, pinks, purple, greens, gold, and brown.